Long gone are the days when Google was nothing more than a popular search engine. 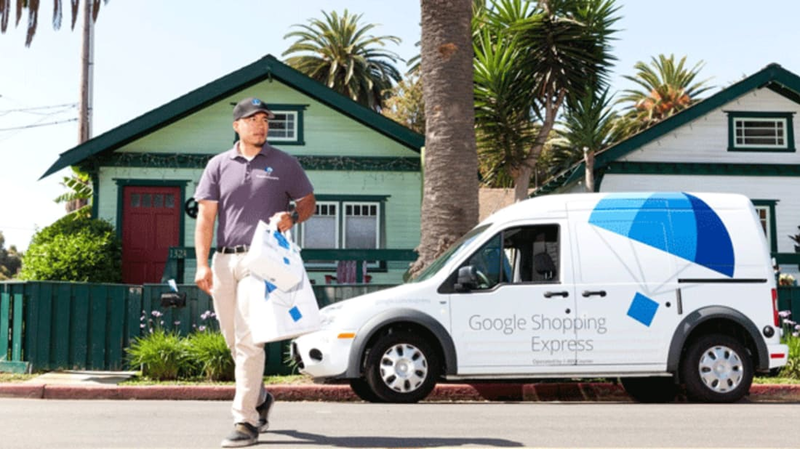 Google Express, the latest service being offered by the tech giant, will deliver groceries—including fresh produce, meat, eggs, and other perishables—to customers in parts of San Francisco and Los Angeles within two hours of their orders. Online grocery shopping is an $11 billion industry in the U.S., but profit margins have always been low. Webvan Group Inc., one of the first companies to experiment with online grocery services, infamously filed for bankruptcy in 2001 after pouring $800 million into their doomed brand. In order to cut storage costs and rise above businesses like AmazonFresh, Instacart, and FreshDirect, Google says they’ll be collaborating with partners like Whole Foods and Costco instead of maintaining separate warehouses. Customers already paying the Google Express membership fee of $95 a year will be able to place orders of $35 or more for an additional $2.99 fee. Non-members will have to pay $4.99. To put those prices into perspective: an annual membership with AmazonFresh costs users $299.